The "Kate Effect" doesn't just pertain to clothes — when it comes to hairstyles, diets and beauty products, everyone wants what the Duchess of Cambridge has. So it shouldn't come as too much of a shock to learn that Kate Middleton's favourite beauty oil is a best-seller. According to makers Trilogy, a bottle of their Rosehip oil — which was used during the Duchess' pregnancy with Princess Charlotte — is sold once every 20 seconds! A small jar retails for US$54 and contains 80 per cent essential fatty acids (omega 3 and 6) and fatty acid (omega 9) content. 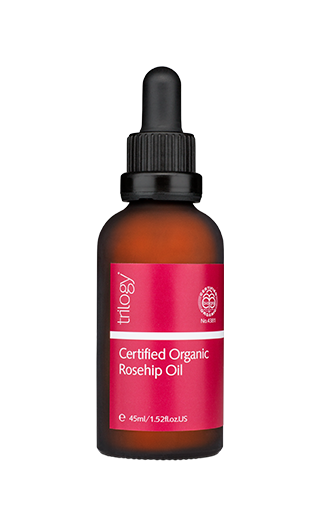 Experts say rosehip oil (also known as rosehip seed oil) contains vitamins, antioxidants and essential fatty acids that can correct dark spots, reduce scarring and fine lines as well as hydrate dry, itchy skin. Other famous fans of the miracle oil include Rose Byrne and Miranda Kerr, who once told PopBeauty she likes to wear the oil at night to rejuvenate her skin on a cellular level.